Promoting philanthropy begins at an early age at the Marks JCH. This year, a dozen of our best and brightest teens volunteered to serve as the Teen Philanthropy Board after participating in a teen philanthropy project led by board members Jonathan Gold, Anton Gorshkov and Marks JCH CEO/Executive Director Alex Budnitsky at the J’s B’yachad teen summer overnight camp. These 12 incredible kids are all Russian-speaking Jewish children of immigrants from the former Soviet Union who live in Brooklyn and have been long-time campers at the J, starting in our day camp and moving to our B’yachad overnight camp. They attend local public schools, including Stuyvesant, Brooklyn Tech, Midwood, Murrow, and New Utrecht. Each of the 12 teens also work or volunteer at the J in addition to their busy school and extracurricular activity schedules. We are privileged to be working with the best and brightest first generation American Jewish teens who have the potential to achieve their American Dreams and give back to the J in the coming years. Over the past 9 months, the Teen Philanthropy Board took the expressed philanthropic causes and interests of our 100+ B’yachad teens from summer camp into the program year. Under the direction of Michaela Slutsky, Teen Director, the Teen Board focused their learning throughout the fall and winter on gaining knowledge about and skills needed for grantmaking, studied Jewish values connected to philanthropy, and spent time boiling down the many interests of the teens into a list of 30 organizations invited to submit proposals for funds to be allocated by the teens in support of the causes that interest them the most. After crafting and issuing a Request for Proposals, teens carefully reviewed each of the 11 grant proposals received by the agency, and conducted site visits to 5 of the organizations’ offices here in New York, including: Dorot, Daniel’s Music Foundation, Shalom Task Force, Coalition for the Homeless, and Elem Youth in Distress. The teens then spent hours negotiating the difficult task of allocating limited funds to a small enough number of organizations where the funds can have a meaningful impact. 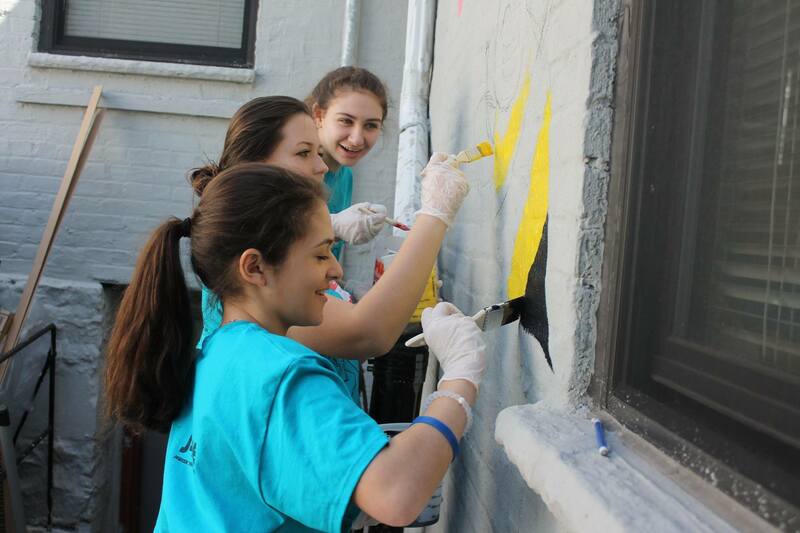 The teens were committed to addressing the needs of underserved populations, including older adults, special needs, new immigrants, single parent families, homeless adults, and Israel/peace advocacy. It was very inspiring to see how much they care, and very educative for the teens to realize that they can’t address all of the problems they see in the world around them. The teens decided to allocate grants to 2 worthy organizations: Elem, an organization serving youth in distress in Israel http://www.elem.org/, and Daniel’s Music Foundation http://www.danielsmusic.org/, an organization dedicated to bringing music to youth with special needs in New York City. In making their decisions, the teens debated such issues as giving money to Jewish causes versus universal causes, giving money locally, nationally, or to Israel, serving youth, older adults, or other populations with unique needs, and were passionate about each of the difficult decisions they made. In the end, the teens were so motivated by their experience in being given the chance to allocate money granted to them through this project that they each contributed funds of their own and raised an additional sum of money in order to be able to increase the amount of the allocations made to the chosen organizations. The impact of this program is sure to carry forward as the teens move on to college and jobs; we expect several to rejoin our community as philanthropic leaders in the coming years. Teen philanthropy project sponsored by Genesis Philanthropy Group, with additional support from several community members and local businesses. Summer Day Camp 2016: Week 1!